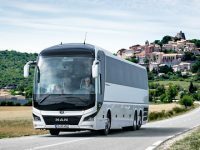 The MAN coach family stands for outstanding technology and award-winning design, which certainly makes traveling a very comfortable experience. 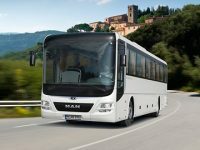 MAN interurban coaches provide powerful driving dynamics and an impressively cheerful interior − ideal for weekend trips, as well as long-distance journeys. 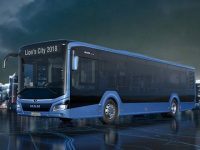 The new MAN Lion’s City was developed hand in hand with our customers and offers maximum economic efficiency as well as an all-round attractive package thanks to its numerous innovations inside and out: The newly developed city bus comes in a fresh design which not only gives it an attractive appearance but is also state-of-the-art in terms of economy, engine technology, driver’s workplace and safety.